Game walkthrough for Kami 2 Daily Challenge By ProlificShifter5 14 Moves Solution how to solve puzzle by choosing correct color and make the page in 1 colour in the target number of moves to get a perfect game ! 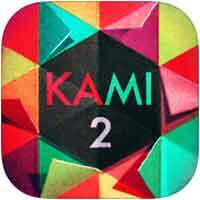 Kami 2 takes you on a mind-twisting journey that combines logic and problem-solving. Beat the global Kami 2 Daily Challenge, earn a winning streak and compare your scores to other players. Test yourself on thousands of user-generated puzzles, uploaded daily.